Halley's Comet passed perihelion in its thirteenth known passage, as calculated from records by Chinese astronomers. K. Gyllenberg discovered asteroid #846 Lipperta. G. Kulin discovered asteroid #1441 Bolyai. L. E. Cunningham discovered asteroid #2211. NASA launched Pioneer P-3 (Atlas-Able 4) as an attempted Lunar orbiter, but the payload was destroyed shortly after launch. Pioneer P-3 (Atlas-Able 4), launched 26 November 1959, was intended to be a Lunar orbiter probe, but the mission failed shortly after launch. The objectives were to place a highly instrumented probe in Lunar orbit, to investigate the environment between the Earth and Moon, and to develop technology for controlling and maneuvering spacecraft from Earth. It was equipped to take images of the Lunar surface with a television-like system, estimate the Moon's mass and topography of the poles, record the distribution and velocity of micrometeorites, and study radiation, magnetic fields, and low frequency electromagnetic waves in space. A mid-course propulsion system and injection rocket would have been the first US self-contained propulsion system capable of operation many months after launch at great distances from Earth and the first US tests of maneuvering a satellite in space. The spacecraft was launched on an Air Force-Convair Atlas intercontinental ballistic missile coupled to Thor-Able upper stages including an Able x 248 rocket third stage. The plastic payload shroud broke away 45 seconds after launch, subjecting the payload and third stage rocket to critical aerodynamic loads. At 104 seconds after launch, communications with the upper stages were lost and the payload was stripped off followed by the third stage. Telemetry indicated the first and second stages continued as programmed. Pioneer P-3 was a 1 meter diameter sphere with a propulsion system mounted on the bottom giving a total length of 1.4 meters. The mass of the structure and aluminum alloy shell was 25.3 kg and the propulsion units 88.4 kg. Four solar panels, each 60 x 60 cm and containing 2200 solar cells in 22 100-cell nodules, extended from the sides of the spherical shell in a "paddle-wheel" configuration with a total span of about 2.7 meters. The solar panels charged chemical batteries. Inside the shell, a large spherical hydrazine tank made up most of the volume, topped by two smaller spherical nitrogen tanks and a 90 N injection rocket to slow the spacecraft down to go into Lunar orbit, which was designed to be capable of firing twice during the mission. Attached to the bottom of the sphere was a 90 N vernier rocket for mid-course propulsion and Lunar orbit maneuvers which could be fired four times. Around the upper hemisphere of the hydrazine tank was a ring-shaped instrument platform which held the batteries in two packs, two 5 W UHF transmitters and diplexers, logic modules for scientific instruments, two command receivers, decoders, a buffer/amplifier, three converters, a telebit, a command box, and most of the scientific instruments. Two dipole UHF antennas protruded from the top of the sphere on either side of the injection rocket nozzle. Two dipole UHF antennas and a long VLF antenna protruded from the bottom of the sphere. Thermal control was planned to be achieved by a large number of small "propeller blade" devices on the surface of the sphere. The blades themselves were made of reflective material and consist of four vanes which were flush against the surface, covering a black heat-absorbing pattern painted on the sphere. A thermally sensitive coil was attached to the blades in such a way that low temperatures within the satellite would cause the coil to contract and rotate the blades and expose the heat absorbing surface, and high temperatures would cause the blades to cover the black patterns. Square heat-sink units were also mounted on the surface of the sphere to help dissipate heat from the interior. The scientific instruments consisted of an ion chamber and Geiger-Mueller tube to measure total radiation flux, a proportional radiation counter telescope to measure high energy radiation, a scintillation counter to monitor low-energy radiation, a VLF receiver for natural radio waves, a transponder to study electron density, and part of the television facsimile system and flux-gate and search coil magnetometers mounted on the instrument platform. The television camera pointed through a small hole in the sphere between two of the solar panel mounts. The micrometeorite detector was mounted on the sphere as well. The total mass of the science package including electronics and power supply was 55 kg. NASA launched Explorer 18 (IMP A) on a mission of interplanetary and distant magnetospheric studies of energetic particles, cosmic rays, magnetic fields, and plasmas. 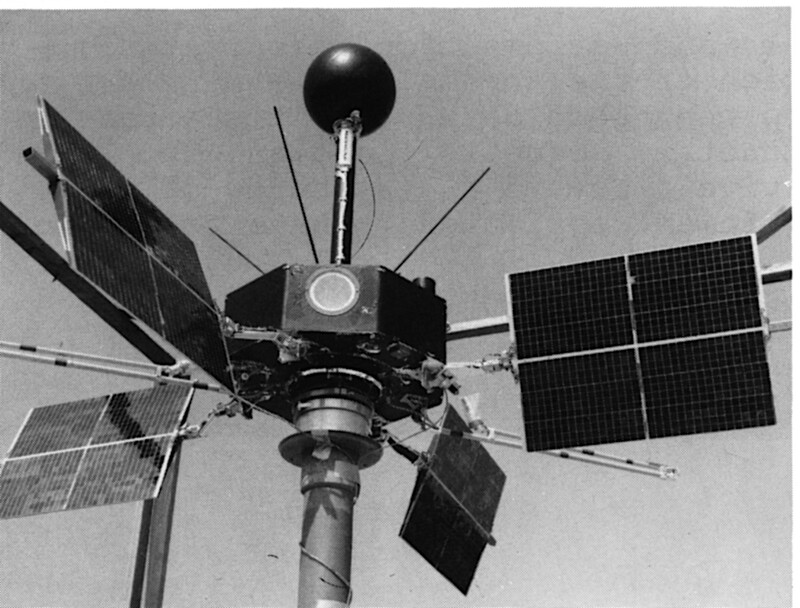 Explorer 18 (IMP 1) was a solar-cell and chemical-battery powered spacecraft instrumented for interplanetary and distant magnetospheric studies of energetic particles, cosmic rays, magnetic fields, and plasmas. Initial spacecraft parameters included a local time of apogee of 1020 h, a spin rate of 22 rpm, and a spin direction of 115 deg right ascension and -25 deg declination. Each normal telemetry sequence of 81.9 second duration consisted of 795 data bits. After every third normal sequence there was an 81.9 second interval of rubidium vapor magnetometer analog data transmission. The spacecraft performed normally until 30 May 1964, then intermittently until 10 May 1965, when it was abandoned. The principal periods of data coverage were 27 November 1963 to 30 May 1964; 17 September 1964 to 7 January 1965; and 21 February 1965 to 25 March 1965; however, only the first of these periods was very useful. From the Hammaguira launch facility in the Sahara Desert, France launched a Diamant-A rocket with its first satellite Asterix-1 (92 lb/42 kg) on board, becoming the third country to launch its own satellite into space. The first major tidal power plant opened at Rance estuary, France. Purple Mountain Observatory discovered asteroids #2260 Neoptolemus, #2336 Xinjiang, #2617 Jiangxi and #3421. Purple Mountain Observatory discovered asteroids #3011 and #3297. NASA launched STS 61-B (Atlantis 2, Shuttle 23) which deployed three communications satellites, and conducted space assembly experiments. The STS 61-B launch on 26 November 1985 proceeded as scheduled with no delays. Three communications satellites were deployed during the STS 61-B flight: MORELOS-B (Mexico), AUSSAT-2 (Australia) and SATCOM KU-2 (RCA Americom). MORELOS-B and AUSSAT-2 were attached to Payload Assist Module-D motors, SATCOM KU-2 was attached to a PAM-D2, designed for heavier payloads. Two experiments were conducted to test assembling erectable structures in space: Experimental Assembly of Structures in Extravehicular Activity (EASE) and Assembly Concept for Construction of Erectable Space Structure (ACCESS). The experiments required two space walks by Spring and Ross lasting five hours, 32 minutes, and six hours, 38 minutes, respectively. 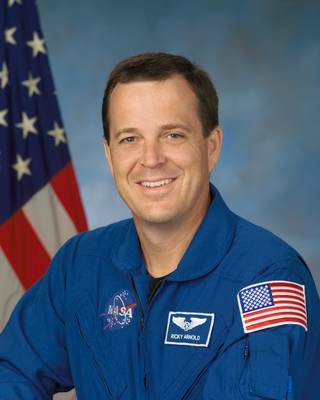 The middeck payloads were: Continuous Flow Electrophoresis System (CFES); Diffusive Mixing of Organic Solutions (DMOS); Morelos Payload Specialist Experiments (MPSE); and Orbiter Experiments (OEX). Payloads carried in the payload bay were: Get Away Special and IMAX Cargo Bay Camera (ICBC). The STS 61-B mission ended when Atlantis landed 3 December 1985 on revolution 109 on Runway 22, Edwards Air Force Base, California. Rollout distance: 10,759 feet. Rollout time: 78 seconds. Launch weight: 261,455 pounds. Landing weight: 205,732 pounds. Orbit altitude: 225 nautical miles. Orbit inclination: 57 degrees. Mission duration: six days, 21 hours, four minutes, 49 seconds. Miles traveled: 2.8 million. The mission was shortened one revolution due to lightning conditions at Edwards, and the shuttle landed on a concrete runway because the lake bed was wet. Atlantis returned to KSC 7 December 1985. The STS 61-B flight crew was: Brewster H. Shaw, Jr., Commander; Bryan D. O'Connor, Pilot; Mary L. Cleave, Mission Specialist 1; Sherwood C. Spring, Mission Specialist 2; Jerry L. Ross, Mission Specialist 3; Rodolfo Neri Vela, Payload Specialist 1; Charles D. Walker, Payload Specialist 2. Pioneer 6 made its closest approach to Earth since it was launched in 1965, a distance of 1.87 million km. USSR launched Soyuz TM-7 to Mir with cosmonauts Alexander Volkov, Sergei Krikalev and Jean-Loup Chretien aboard. NASA's STS 113 crew installed the P1 (P-One) Truss on the International Space Station (ISS). The Concorde supersonic transport (SST) made its last ever flight. 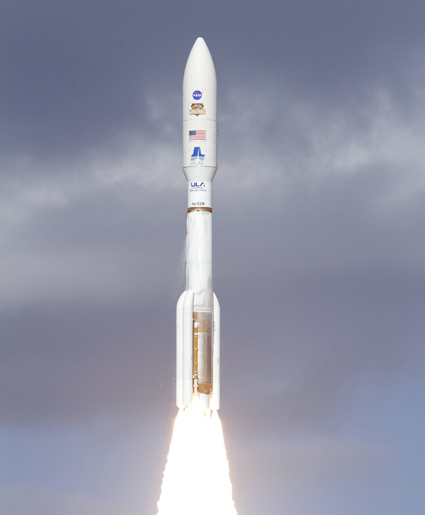 NASA launched the Mars Science Laboratory and Curiosity rover toward Mars from the Cape Canaveral Air Force Station, Florida.